A feeling of sadness—just sit down. Do you notice that there are no thoughts, just breathing? A thought pops up, followed by another. A train of thought wants to tell a story. We jump off it. A thought pops up, the beginning of a sad story. Wait, the blue feeling was there first. The thought was just a reaction. Do you notice the energy rising? Do you perceive the ringing in the ears? Do you see the light in the depth of your being? Maybe your sadness was just a mirage? The thoughts certainly were. I posted this observation in my spiritual community and one of my readers got really upset with me. ‘Do you mean that with breathing I get my heavy feelings out of my system?’, she asked. No, of don’t make any such promises, yet, the experience happened to me so I felt embolden to share it. Kundalini energy is behind it, activated by a meditative state and rhythmic breathing. To get there is a process though, but it is a boon all of us can look forward to. When I had a spiritual Awakening in 2008 I was given an appetizer of things to come. One day sitting in a conference room, surrounded by dozens of colleague I experienced a rising of energy that was out of this world. Afterwards many magical experiences unfolded, and I was introduced the bliss of walking the Way but this particular experience never returned in this particular form. Yet year after year the energy crept a little higher, putting me now in a position to literally let the energy take over at command. The other day I was sitting today at my favorite Thai restaurant reading when someone commented how straight my posture is. I smiled and replied that I had to, sometime a few years ago when I picked up golf I had realized how crooked my spine had become. She smiled and said that she is a yoga instructor and has an eye for those things. We have to watch our posture because that’s where the kundalini energy is flowing. It has been many, many years in the making for me personally. It started with breathing exercises, and then became in exercise in straightening my spine. Sometimes you feel the bubbles moving up the spine, and just by observing the energy in motion thinking stops, for me anyway. The irony is that even learnt proper breathing late in life. I grew up in polluted West Berlin in the 70s and was always struggling with sinus infections as a child my mother was a chain smoker and I only realized much later when I reached the clean ocean-filled air in Providence RI that I must have been allergic against it. As a graduate student I suddenly could breathe like normal people do! Feelings-wise I was stuffed up as well. Not sure what blockage was at work there but every feeling was evaluated by my mind. Some time since my Awakening the blockage to my heart opened up and I suddenly felt things. I feel the energy of people and places. Most of you will probably roll your eyes given our community is full of empaths, but for me this was part of the Awakening journey. Fear has completely disappeared from my life. My thinking stops for large stretches and I just perceive things without bothering with the ‘afterthought’ of what is occurring. Life is meditation for me but I don’t want to claim that I am always happy as our gurus claim we need to be. I am not, I am sad at least as often as I am upbeat, but that’s probably just me. I certainly don’t want to generate the impression that I am Awakened. Awakening, but work in progress! I hope you see that the process of Kundalini Awakening is natural. For some the break-through might be instantaneous. Others may have techniques to stimulate the flow of prana energy, I would just say face the Awakening journey to the best of your abilities; work a little on breathing, meditation and your posture and everything else will proceed like clock-work. No need to hurry with anything, our energy centers open up whenever we are ready to take the next step. The reason you feel emotions is because of the chemicals released in your body, but the reason that the chemicals are released in your body is because of the vibration that’s going on within you. Michelle Obabama once gave the political advice, ‘when they go low, you go high’. This might as well have been good spiritual advice. Did you ever notice that the ego is a low energy vibration? Never mind the logic of the voice in my head, I can literally feel it when the ego realm is activated in me. Something just feels out of kilt inside. I had a strange experience the other day. My pain body was triggered, my thoughts we running amok, when I realized that with my spine erect, somewhere around the neck area there is a place where once the kundalini energy passes through it, all thoughts stop, and the pain body vanishes as well. It was literally the higher vibration that bereft the ego’s oxygen. The seventh chakra is understanding. It has nothing to do with logic. It’s a feeling instead; a vibration. Kundalini energy activates the center in our head, and kundalini energy can be stimulated with the help of rhythmic breathing and a kosher lifestyle. In my experience, kundalini energy rises in proportion with our spiritual evolution. 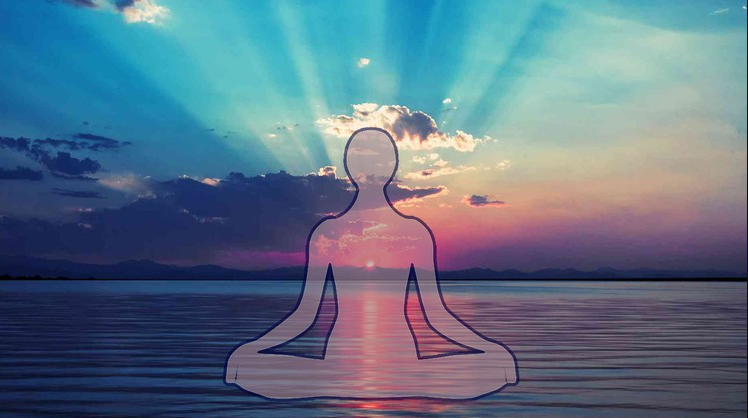 While our chakra energy centers open up when we are ready for spiritual break-throughs, kundalini energy can nevertheless be activated with the help of physical exercises such as yoga, meditation and deep breathing. Let the spiritual Awakening journey unfold by itself, there is little you have to to except perhaps to be mindful of self-imposed interferences along the Way. Also practice the little kundalini exercises like I did, such as rhythmic breathing, meditation, yoga, and keeping the spine erect wherever you are. Increasingly, the inner vibrations will make your mind still. You are literally vibrating yourself out of these lower energy dimensions. Try it and see what happens.